Dillian Whyte is far from confident he will get the next shot at WBA/IBF/WBO heavyweight ruler Anthony Joshua. 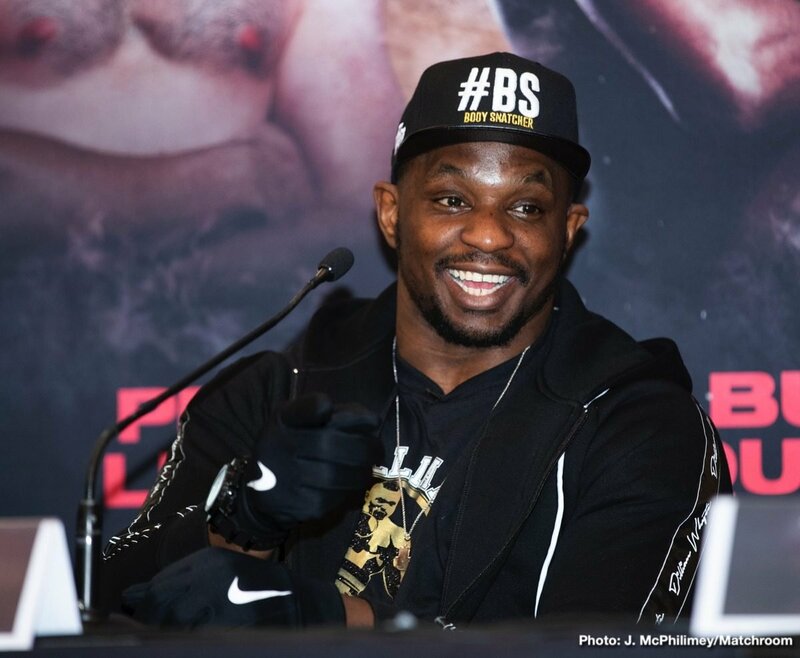 AJ is scheduled to fight again on April 13th, it was thought at Wembley, but Whyte says he has heard rumours that say Joshua will instead fight his US debut on that date, in New York – against Jarrell Miller. There is no doubt about it, Whyte is far more deserving of a world title chance than is Miller. But Hearn has spoken of having AJ box his US debut this year and maybe, if there is no real heat or major fan interest in a Joshua-Whyte II, this is the move that Joshua/Hearn will take next. Miller is scheduled to box TBA on January 18, so we will have to see what happens there. But if Whyte does not fight Joshua next, who might he face? Heaven knows, Whyte has boxed enough “final” eliminators already. There have been whispers that suggest Whyte might get a big fight with none other than Tyson Fury if Fury and Deontay Wilder are unable to come to a deal for that big rematch. Basically, as Hearn has said himself with regards to the current heavyweight division, anything can happen.